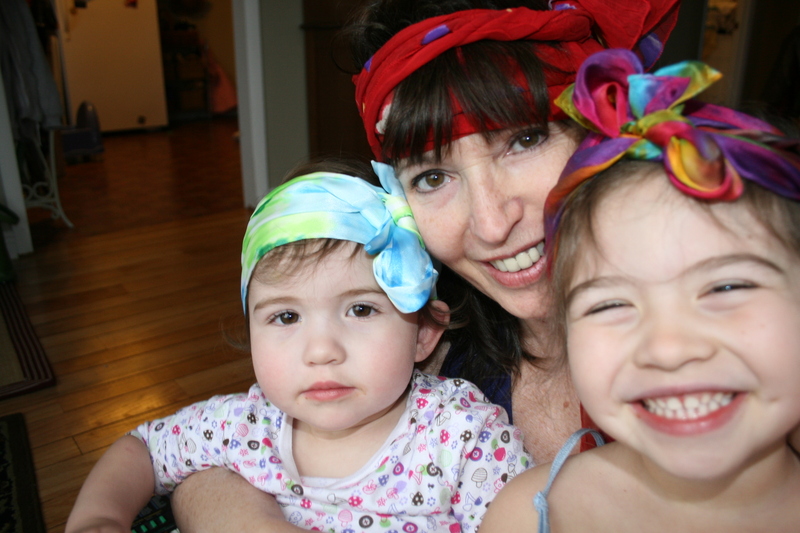 This past winter the girls and I were gypsies. Kate loves pretending to be, well, just about anything. And, of course, do I. Ava will follow suit even though sometimes she refuses to wear our “designs” for play. She’s usually rather stoic, looking at us like we are fools, with her solemn little eyes. I can just hear those thoughts now. “Please don’t tell me you expect me to put that thing on my head!” Although recently she has begun to enjoy pretending with us. 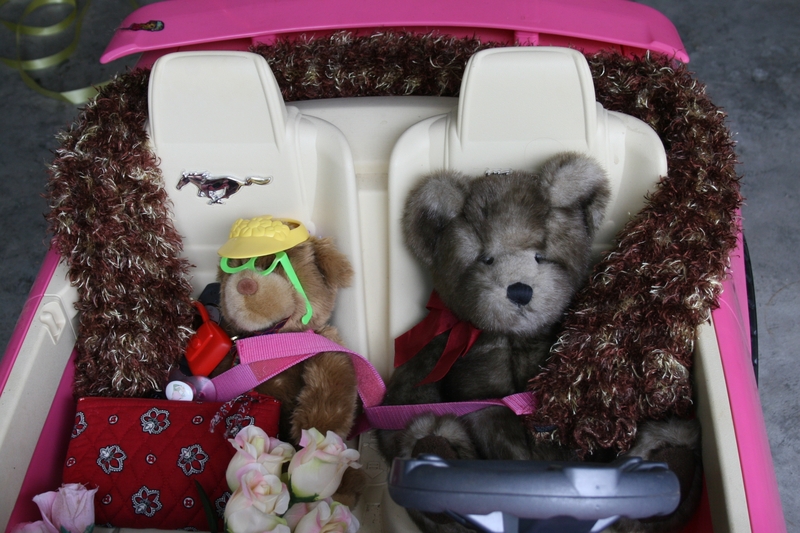 We traipse around town, the three of us; me pushing Ava in the stroller; Kate driving her pink Barbie car… her decorated pink Barbie car. She usually has riders along for the ride as well. I have on the worst clothes in my closet (usually short shorts that highlight my nasty thighs and a cami with stains) because we never decide to go for the ride/walk until we are outside in the middle of it, a block away from appropriate clothes before I realize I wouldn’t be caught dead in the clothes I am traipsing all over town in! The gypsy parade: Me in the what-kind-of-get-up-is-that, Kate in God-alone-only-knows-what-she’s-come-up-with, and Ava stained from lunch and dirty from playing; me pushing the stroller that Ava sits in with a drink in hand, doll or stuffed animal squeezed beside her with periodic yielding as I take my foot and push the back of the car that Kate has run off the sidewalk road because she is gawking at something along the route; me in flipflops with the other two gypsies barefoot. Maybe we should call this the Redneck Gypsy Parade. What precious memories you are making with these girls!!!!!! Redneck Gypsy parade. That’s too cute. Sounds like you are having fun.